All hybrids have “inverters”—assemblies that translate high voltage direct current (DC) of the battery into alternating current (AC) for the motor/generator(s). The chopping and reconstituting of current creates heat, which must be dissipated for the components to last. Honda hybrids are relatively light duty and can get by cooling the inverter with air, tucking it back near the trunk alongside the battery. Toyota “hybrid synergy drive” style hybrids are heavier duty and require water-cooled inverters, which is why they are located under the hood (for proximity to the radiator). 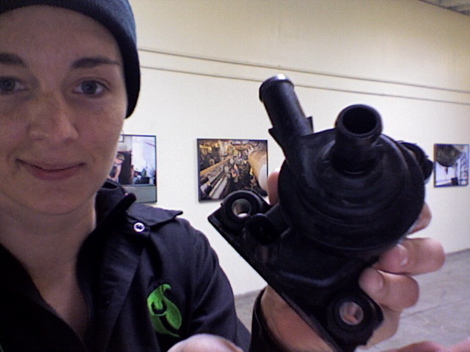 Toyota has updated the design of the replacement pump (part number G9020-47031) to solve the problem. You can tell the updated design from the original by the color of the mounting base (black is original, silver is updated) though late models with the updated design (silver base) have also experienced failures. Toyota has also issued a Technical Service Bulletin outlining the failure on 2004, 2005, and 2006 Prius: TSB EG001-07.